Haven't ever used a mitt but it seems to be generally agreed they can cause more damage and marring than a clay bar. Not a huge issue if you are planning correction stage but why make more work for yourself as there will already be some marks to polish out I'm sure. Such an awesome thread that needs a bump. Thanks to Col for all the info at the start. Two and a half years after my Turbo was detailed experience is now is somewhat different in that I would certainly suggest a yearly return to the Pro Detailer for a top up treatment will likely be a benefit. After 18 months I noticed spots on my car, despite only using filtered/softened water on the rinse. I returned my car to the Pro Detailer and he cleared the spots and applied V3. Roll on another year and yet again there are spots on the bodywork despite only using filtered/softened from the Race Glaze unit but due to health issues I have not been able to clean it as much as I should. Unfortunately my Pro Detailer is no longer trading at the same location if indeed he is still in business so will have to seek a remedy elsewhere at some time. I would not go the detailing route again and I would just do a clay and quality carnuba wax job myself. There have been quite a few separate posts asking the same question, should I get my car detailed? It all depends on how fussy/OCD you are about your Macan, so if your are not bothered move on to another thread, if you are fussy/OCD read on. An offer by the SE at your OPC will and there is no doubt about it offer a treatment like Swissvax, Autoglym Lifeshine or a Gtechniq Light which would be a wash, dry and apply the sealant and buff it up when cured. The car will look excellent but they will not undertake correction to paintwork and they will only wash, dry and apply the treatment which will take 4 hours labour (£60) and a probable £20 in materials yet they will charge you between £300 and £600+VAT. Waxing a car provides a sacrificial layer on top of the paintwork, as the car is washed this layer wll gradualy reduce until a reapplication is required. There is no doubt that wax based products give a superb finish, they are however labour intensive to maintain the finish. The cleaning technique will be similar to that described below and the equipment needed the same. If professionally applied the paintwork cleaning technique will involve a Claying process to thoroughly remove surface contaminants. Then paint correction may be undertaken however this will be depending upon cost. Once the wax is applied the Claying and correction process will then only be required occasionally to essentially retreat the car. I have seen on other sites that Carnuba wax is a highly used product for a concours finish. 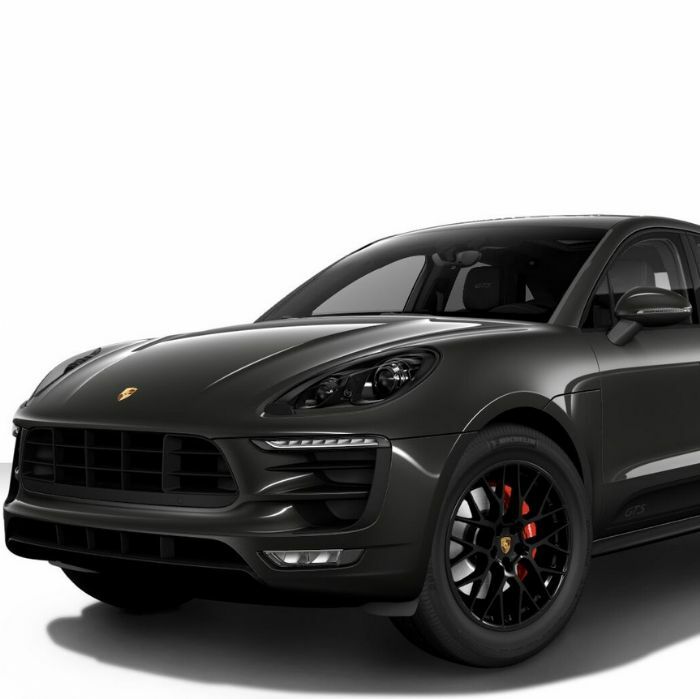 To get the best paint finish on your Macan I suggest that you consider getting it Professionally Detailed, and not a treatment offered by your OPC, discuss your requirements with the Pro Detailer and they will recommend a product like Gtechniq, which is a sealant and not a wax product. Depending upon the finish chosen the guarantee on these treatments can be up to 7 years. You should weight up the Pros and Cons of Ceramic v Wax treatments. The Pro Detailer will also recommend how they would like to receive the Macan, probably unwashed and direct from your pickup. The sealant coating will require a specific regime to maintain the finish, washing and drying may not be sufficient, with this in mind I suggest that prior to selecting the sealant you carefully read the information related to the product you are considering. For example, Gtechniq offers a top coating of a product called EXO which is essentially a wear layer to protect the Crystal Serum sealant, the EXO layer requires topping up to maintain protection, it currently has up to two years protection before reapplication will be required. There is a product called C2 which can be used after a thorough wash to maintain the EXO coating, again please read up on the product. DO NOTE THAT AN ANNUAL RE-TREATMENT MAY BE REQUIRED TO SOME DEGREE. Now if you go to the Gtechniq website you can build up your own cost for the work you want doing and then use this figure to negotiate a fixed price from your chosen detailer, they may want to see the car first to access the amount of pain correction they need to do. My Pro Detailer had my car for three full days and it took all of day 1 to wash, dry, clay and paint correct my Macan. Day 2 was applying the sealants and doing the wheels. Day three the car just stood there curing and They put the wheels back on first thing on day 4 when I collected it at 09:30. A new paint finish will have an irregualr surface and light swirls and very fine scratches. These may be difficult to see but they will probably be there on all new cars. The paint correction process involves decontaminating the car via washing and claying (Youtube ...... claying ...... to see the process) and then with the aide of a task specific polishing machine cutting and polishing compounds are used to buff the paintwork to a mirror finish. This element will account for the Lions share of the labour costs associated with the treatment. Cleaning microfibre cloths (for glass and internals), do take note that not all microfibre cloths work effectively. - A TDS water test meter will show the effectiveness of the water softener/filter by giving a readout of the ppm as it leaves the unit, Kasfranks99 writes in a later post that he using a TDS-3 which will cost around £15-£20. Repeat this until the whole car is clean, using the second wash mitt on all body panels below the sideblades. Hose off car including the wheels with the softened/filtered water, this will limit water spot formation in locations that are difficult to dry. You can then apply a Quick Detailing spray and lightly dry the surface to maintain the sealant product. A domestic power washer is not likely going to achieve a thick foam, the foam applied by these models may function OK and as a consequence a second application may be necessary. Water filters/softeners are useful and if you are sparing in the use of the water they should last a reasonable amount of time. These units undertake a chemical Ion Exchange process between the water and resin. With usage the resin becomes less effective and requires replacement or replenishment, as the resin is quite dense it will also act as a filer to remove the debris that is present within the water supply. I have costed both the Raceglaze and Aqua Gleam units and for my useage and location the Aqua Gleam is more economical but only just, in a harder water area and the economica spin around to the Race Glaze unit. I suggest that you only use the filtered/softened water to rinse off the car, using it via the power washer will considerably reduce the life of the filter material. Do take note regularly of the colour of the water in the buckets and change it at the first sign of any quantity of dirt in the water, especially change the rinse water 2 or 3 times during the washing process. The kit needed may seem excessive but the water from the softener/filter will minimise the risk water spots forming on the paintwork although it may not stop spots entirely. This is not a definitive method but a process that works for me. Also read up on the washing process related to the product applied to your car so you can follow the manufacturers recommendations. Join the "detailing world" forum where more definitive advice can be found. If you live in a hard water location then a professionally installed system with a brine backflush may well be more economical over the course of a few years and you would have the benefit of softened water in the household. and softened/filtered water for all car washing. The only costs involved in these pro units are for bags of salt and an occasional resin change. I have installed quite a few of these within industrial situations where the water is intended to be used in steam boilers and as you can image hard water scale and a steam boiler are not ideal companions. FINAL SUGGESTION, make sure the sunroof, doors, hatch, bonnet and windows are closed prior to commencing your washing process. See my post dated 24th March 2019 for my latest views. Excellent post Col. It will seem like a lot of processes but is well worth it. I had my car detailed 2.5 years ago by a brilliant detailer who gave me the list for keeping it in top condition. I also top up with GTech crystal detail to keep the shine. Bilt Hammer wheel clean is very good. Spend money on a large drying cloth. Coll - Without belittling your health issues (I hope you get better soon), just because your personal circumstances have changed doesn't make the detailing and nano coat route the wrong one for everyone. There will be plenty amongst us who would do the EXO topcoat ourselves or find a new reputable detailer who is willing to take on the job. The point is that a ceramic is not necessarily the ultimate answer. I have spent a Grand on Gtechniq and materials and have spots on the paintwork when there should be none since the only water that has been left on the car has been either filtered or rain. Prior to Porsche ownership I never used the snow foam and two bucket method, I did not use filtered water, i even used drive throughs. Yet 11 years of Jag ownership and zero spots. Two years of Audi ownership and zero spots, but a sod of a car to clean with it Autoglym treatment that the dealer had applied unknown to me until pickup. So now my point probably is, yes go the ceramic treatment but do be aware that it still comes at a cost of both time and money to maintain that great shine. Col - have you raised this with GTechniq? They have a guarantee. For what it's worth, my car had Crystal Serum and ExoV2 two years ago. I've never had spotting except when I wash the car in the sun which happens with all cars I've had, GTechniq or not. Blimey.......I did not know car cleaning was so complicated!! I just take mine to an auto car wash around every three months!! Life really is to short for all this stuff, oh well each to their own I guess.